Welcome! 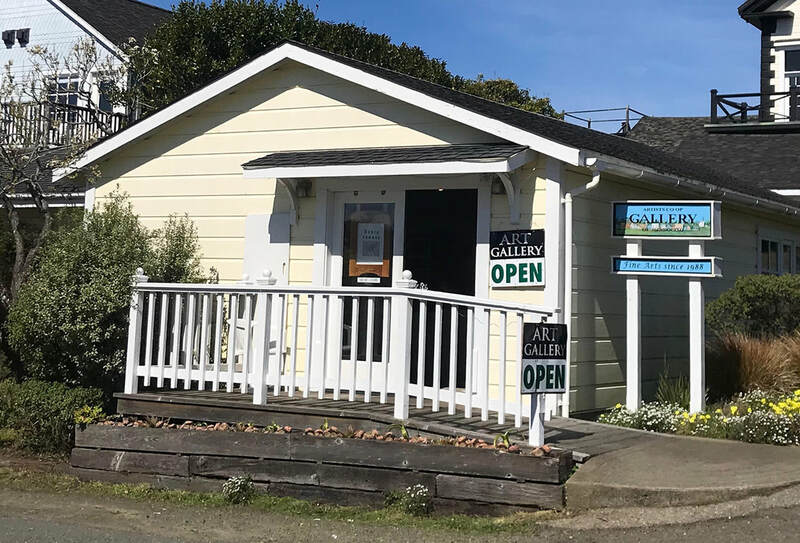 The Artists' Co-op of Mendocino is located at the corner of Kasten and Albion Streets in the north coast town of Mendocino, California. The Co-op has been a destination for traditional and contemporary fine arts since 1988. We exhibit the work of 18 artist members and several guest artists. Small art works $100 or less waiting for you in our gallery. Suzi Long's 2019 calendar now available with new art. Interested in joining us? Currently we are actively seeking 3D artists and are building a wait-list for 2D artists. Download a printable application form and information sheet. with Artist's Talk always at 5:30 or drop in during gallery hours 10:30-5:00 daily. ​Subscribe to our e-mail list. Award-winning wildlife/nature photographer and author Pat Toth-Smith is the Artists’ Co-op of Mendocino featured member artist for April. Her show “Coastal Life” is on exhibit from April 3 – May 6. .Join us for the Second Saturday reception, April 13, from 5-8 pm, with the Artist’s Talk at 5:30. The gallery is on the corner of Kasten and Albion Sts. In Mendocino. Toth-Smith is an award-winning author. Her book Wild Among Us: true adventures of a female photographer who stalks bears, wolves, mountain lions and other elusive wildlife,won the USA’s best book award, a gold medal in the Living Now Awards and a bronze medal in the e-Lit awards. She was interviewed on more than 25 radio stations throughout the U.S.